Except Professional Knowledge (PK) paper, other papers will be qualifying in nature. 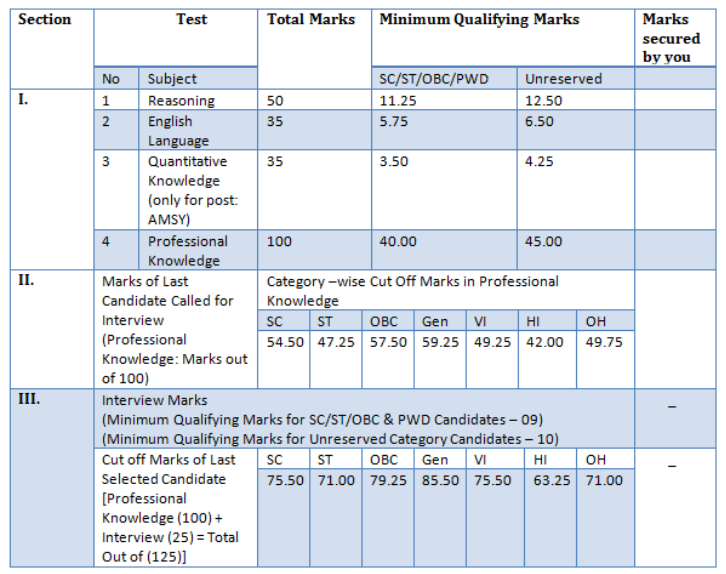 Candidates have to score minimum qualifying marks in these papers. The minimum qualifying marks will be as decided (or may be waived) at the discretion of Bank. The questions will be bilingual i.e. in Hindi & English (except for test of English Language). There will be 170 Questions/ Marks. 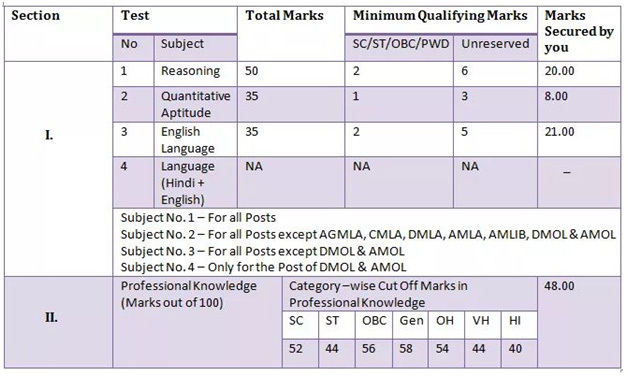 The question paper will consist of 70 questions on General Intelligence & Reasoning, 35 questions on English Language and 50 questions on Professional Knowledge. The time duration will be 2 hours 15 Minutes. Candidate should have completed Chartered Accountancy (CA) from Institute of Chartered Accountants of India. Minimum 1 year experience in/with a Chartered Accountant firm engaged in statutory/ internal/ Concurrent Audit of Banks. Employment in a Bank with credit exposure is desirable. Experience Certificate issuedby the firms for employees working in CA firms/Copy of the engagement letter from Banks for others, would be required.